As I strolled through the hallway on one of my first days as an attending, I reflected on how profound our job as physicians really is. I had met 2 patients that day, both women in their 60s with spunky personalities and engaging families. Roommates separated by nothing more than a thin curtain, they were both in the hospital for complications from stage 4 cancer. I was struck by the vastly different perspective each woman held. In the first bed, Rachel* opted to go down the hospice route. She had been doing well until a few days ago when a serendipitous fall, which should have otherwise been quite benign, resulted in a fractured humerus. Subsequent investigation led to a diagnosis of disseminated small cell carcinoma with lytic lesions in both arms, sternum, and pelvis and numerous visceral metastases. Rachel was shocked to hear this news but resolved to not subject herself to chemotherapy or radiation. She had lived a good life and wanted to experience the rest of it in comfort and peace. Moving past the curtain, I then sat down with Tina*. Tina had such a larger-than-life personality—everyone who spoke with her knew that she was one of the toughest and most stoic people they would ever meet. Tina was diagnosed with ovarian cancer 19 (!) years ago. She had gone through 5 rounds of chemotherapy and at least 6 surgeries (she had lost count by that point). She had been admitted for a complete obstruction from yet another metastasis to her small bowel. She believed, without a doubt in her mind, that she would get through this again. Countless doctors and nurses had told her she had only months to live, and here she was decades later still as vibrant as ever, wondering if there was a way she could string up her TPN on her motorcycle so she could go out for a ride. As physicians, knowing who our patients are and being what they need us to be in their lives are skills that I expect take decades to master. This is particularly true in the care of patients like Rachel and Tina with late-stage or terminal disease. National guidelines recommend having end-of-life discussions with any patient with incurable cancer or <1 year of life expectancy, but studies, such as those in Annals demonstrate that these conversations rarely happen in the appropriate time or setting (1). More than half occur late in the disease process or during acute hospitalizations and only between patients and oncologists in a minority of cases (27% of the time). In the push to increase the consistency of end-of-life discussions, we cannot forget that the nature and content of these conversations are as important as ensuring they occur. This is especially salient considering that although individualization is often captured in our rhetoric and reflection as clinicians, it is rarely delivered on a consistent basis (2). We have much more to do to learn, uphold, and communicate information centered on what our patients value. My experiences with Rachel and Tina—2 women with similar demographics and similarly devastating diagnoses yet 2 distinct philosophies and perspectives—were some of the most revealing and heartfelt experiences of my young career. Although I could not change where or at what point our end-of-life discussions were occurring, I could influence how individualized and respectful they were of each woman’s wishes. The irony was made ever more palpable by the fact that these women were essentially part of the other’s care as I discussed the details of each of their cases mere feet from where the other lay. After talking with Rachel about the beauty of dying with dignity, acknowledging her decision, and focusing on her symptoms, I would then move to spirited discussions with Tina about the power of belief, the marvels of modern medicine, and the resolve to not be defined by your disease. To have a Doctorate of Medicine is to understand the science of medicine, the art of diagnosis, and the complex and vast number of therapeutic options available to our patients. To doctor is so much more. 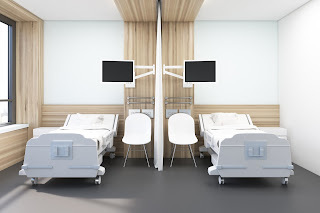 To doctor is to bond and connect with another human being in front of you: to see them for who they really are; to understand their fears, reservations, goals, and aspirations; to learn to empathize by fundamentally putting yourself in that hospital bed, staring right back at yourself. These are core competencies for doctoring in general, but especially while caring for patients at the end of their lives. By the end of the week, the curtain was almost never pulled closed. Rachel and Tina had become friends and would talk long into the night about their families and how they decided to proceed. Their decisions and beliefs highlight how vast and dynamic the human spirit is. We should be so lucky to have a glimpse into it every day. Sandeep is a Regional Medical Officer at CareMore Health, Memphis, Tennessee. He is a former member of the ACP Council of Resident/Fellow Members. 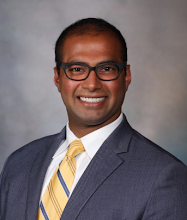 He is a dedicated advocate for quality and humanity in health care and is currently leading a dynamic team working in a capitated Medicaid model serving a diverse patient population. Hi there, thanks for the comment. I believe there is ample evidence to show numerous benefits to engaging individuals in hospice and palliative care early on in their disease process - from increased life span, to improved quality of life, to psychological well-being, the evidence surrounding appropriate early and honest end-of-life conversations is bountiful. I agree in that we should make sure we ask our patients how much they would like to hear and whether they want to be completely involved in their diagnoses and care plans. In my anecdotal experience, many more patients wish to be fully informed and given the appropriate knowledge set to make a decision during a difficult time. If a family member is the "spokesperson" for the patient, even that person should be given the full details as to prognosis, sequelae, and options for a particular condition. I welcome your further feedback, thanks for your input. End stage cancer disease and all serious diseases are scaring for the patients and more so for their families. Most of the patients end up with depression and suicidal tendencies . They really require support frim family members and psychological support . Thanks for your comment. You are right - end-stage cancer and all serious (as well as common) diseases can be very scary and difficult. It is very important for clinicians to make sure they are asking about symptoms of depression, suicidal ideations, anxiety, or other fears patients may be contemplating. Our role as clinicians, family members, and support systems are essential in helping individuals understand the unknown and unpack all of the psychological distress that can come with terminal diagnoses. Hi, thank you so much for your comment. I am happy to hear that this article resonated with you. End-of-life conversations and interactions are universal across healthcare. This is a very human discussion, one that spans cultural, geographic, and national barriers. To connect with patients and family members during their transition from this experience we call life, is one of the most sacred duties we are invited to be a part of as physicians. I hope that we continue to move our collective consciousness forward around this topic and ensure we are all dying with dignity. Thanks again for your input. The curtain wold not seem to satisfy HIPPA requirements for privacy. Such she world in which we live. I eventually found, after 40 plus years in practice, that I was not going to be so brutally honest about bad conditions, that the patient might be so depressed and go home and commit suicide. I could talk about a bad outlook or bad symptoms, but I always left them with some ray of hope for them to hang onto. Dr. Palakodeti's article is a valuable addition to the literature on caring for patients with terminal disease. His comments on the need for personalized communication highlights the need for careful thought when communicating with patients and/or family. While always being honest and forthright, it is critical for us not to assault our patients with information. It has been my experience that the patient usually guides me in the information they wish to know at any given juncture of their illness. Although we can prognosticate for a patient population we cannot predict the life-span of any given patient. It is also important to discuss end of life care at the appropriate juncture in the disease process, well before impending death.